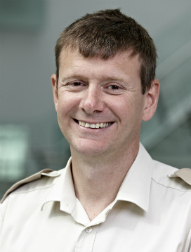 Lt Col. Mark Foster is a clinical research fellow for the Academic Department of Military Surgery and Trauma and the NIHR SRMRC. He is in his third year working full-time towards his PhD but also does clinical work on hand trauma. Lt Col. Foster spent 10 years in the British Army, including eight years in pathology before studying medicine at the University of Manchester. After graduating, he undertook the Army Entry Officers Course before completing his senior house officer training at hospitals in Surrey and Bristol. He then had trauma placements as a registrar in South Africa and Bristol before deploying to Iraq for Operation Telic. Since then he has focused increasingly on hand trauma and plastic surgery as his clinical specialty while maintining a strong interest academic research and teaching. 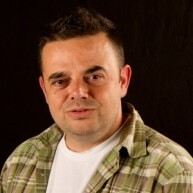 He took up his current post in February 2011. Lt Col. Foster is a keen SCUBA diver. He is an Advanced Instructor with the British Sub-Aqua Club and has completed the Underwater Medicine Course at the Institute of Naval Medicine, Portsmouth.